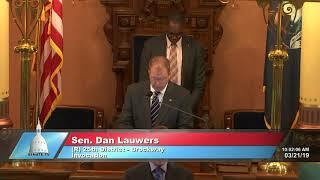 Senator Dan Lauwers delivered the invocation at the Michigan Senate during the March 21, 2019 session. 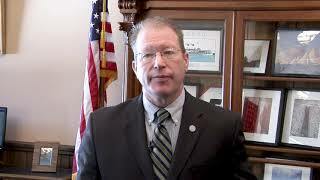 Senator Dan Lauwers discusses Gov. Gretchen Whitmer's budget proposal. 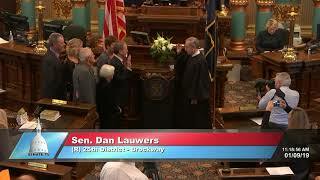 Senator Dan Lauwers took the oath of office for the Michigan Senate on January 9, 2019.